There’s no question that complex, high-volume financial modeling can be burdensome and error-prone, especially when hampered by manual, time-consuming processes. It doesn’t have to be that way! Do you wake up dreading the thought of spending hours on your forecast? Are you struggling with lack of real-time data, multiple sources of truth, shortage of collaboration and communication, or accuracy of data? Join our panel of experts and hear how they mitigate these challenges. Organizations need to adapt the way they create, plan, and execute operational strategies to stay ahead in a rapidly changing business environment. Learn from the collected experience and insights of CFOs, FP&amp;A practitioners, and other thought leaders; and includes extensive research on how planning impacts business performance. Join our panel of FP&A experts from Plex Systems, Workday, and Adaptive Insights for our webinar, “The Ultimate Guide to FP&A in 2019." These panelists, with more than 45 years of combined experience in Finance, will share FP&A tips and tricks they’ve learned throughout their careers and how you can apply them in your role. It’s no secret that charitable givers and social investors review nonprofit organizations’ Charity Navigator.org ratings to help decide which charities they want to invest in. With so much at stake, why not be proactive about managing your score? This 30 minute overview describes how life sciences organizations can leverage the Adaptive Insights Business Planning Cloud. Learn how people, processes, and systems play a critical role in your planning process. Hear how high-growth companies like TuneIn and Adaptive Insights have set up their financial and operational models to help their organizations scale effectively. The life sciences industry is operating in an era of significant transformation, with shifting healthcare and FDA regulations, constant pressure for meaningful innovation, and increasingly intricate supply chains and distribution models. This eBook examines how top-performing finance teams at business service providers have set up automated, self-service reporting to empower stakeholders with the data they need to make decisions. This eBook examines how top-performing finance teams at manufacturing companies have set up automated, self-service reporting to empower stakeholders with the data they need to make decisions. Learn how to build bookings and revenue into your financial model as well as link up separate domains for sales teams to manage quotas and territories so you can run scenarios from quotas all the way to cash. Is managing your workforce, revenue, capex, and capacity models in a spreadsheet time-consuming, manual, and painful? Do you find yourself constantly updating spreadsheets? Are you worried about spreadsheet errors? Find out how Adaptive Insights can help your Sales team increase performance, predictability, and sales intelligence with quota, capacity, and territory planning. Learn the benefits of having self-service reporting, including: freeing up time for your finance team, empowering your CFO to pull data he/she needs when he/she needs it rather than relying on your team, and simplifying reporting for board meetings and quarterly business reviews. 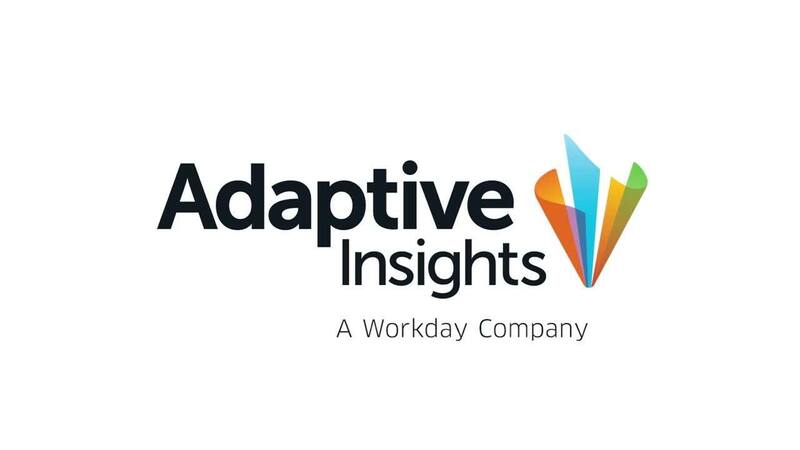 Adaptive Insights for Workforce Planning allows you to create scenario plans and standardize workforce plans across complex and diverse business units. The medical company eliminated its outdated spreadsheet- and Prophix-based financial planning and forecasting tools, replacing them with a modern cloud finance solution. Hear how high-growth companies like Zipcar and Adaptive Insights have set up their financial models and KPI dashboards to help their organizations scale effectively. The ability to translate business drivers into business models is critical for FP&A teams. Listen to veteran FP&A executives, as they coach you through five key steps to creating models that are built quickly and are flexible enough to adapt to changes. Inadequate financial transparency and accountability can cause havoc for your organization and negatively impact the causes you serve. Given all this, what can you do to ensure you comply with accounting standards and preserve the trust of your board, employees, and donors? Finance and HR can partner together to create data-driven workforce plans. Learn how to get a better handle on your costs, open headcount, and run what-if scenarios on hiring plans. Are you a professional services company that delivers a wide range of services, including IT, consulting, marketing, engineering, and other business services? Read this e-Book and learn the five easy steps to better capacity planning. Join this webinar to hear how high-growth companies like Zipcar have set up their financial models and KPI dashboards to help their organizations scale effectively. I couldn’t be more excited about becoming part of the Workday family. The alliance will enable us to innovate even faster than before, while our customers continue to receive the same world-class service and support from the team they know and trust. With change, of course, there are always questions. Let me address a few here. For a while now we have operated in a world where companies understand that change is a constant. But that thinking seems almost quaint now. The operative phrase today is “change is accelerating.” Change is now a persistent variable with an escalating impact on operations and outcomes. Who doesn’t like free? But when it comes to free, there’s always some kind of catch, particularly in the software industry. Read this eBook and find out if you are suffering from static planning, a painful and inefficient condition characterized by long planning cycles, short-lived plans, siloed efforts, hard-to-find errors, and never enough time for strategic analyses. But don't worry if you are, becuase we have the cure! Join this webinar to hear how high-growth SaaS companies like Domo and Adaptive Insights have set up their financial models and KPI dashboards to help their organizations scale effectively. Adaptive Insights is powering a new generation of business planning for businesses of all sizes with the Adaptive Insights Business Planning Cloud. Addressing the need for greater business agility in a world that moves fast, Adaptive Insights’ hallmark easy-to-use planning solutions are available to everybody in an organization. We all struggle with incorporating non-financial information into our finance dashboards and reports - but new tools and technologies are helping to overcome common obstacles. How do you know that the budgeting, forecasting and reporting processes you have in place are serving your mission? Is everyone in the organization aligned on the big picture? Is it easy to collaborate? Are your teams and tools nimble enough to make adjustments on the fly? Does something need to change? Are you getting the most out of your Corporate Performance Management Solution along with NetSuite? If not, now is the time to do so by leveraging Adaptive Insights Business Planning Cloud to gain competitive advantages and make strategic financial decisions. For the finance departments of many nonprofit organizations, forecasting feels like a siloed effort, where you are constantly dealing with multiple sources of truth, causing a lack of transparency and confidence in your numbers. Every business plans! Planning is a critical process; however, finance teams often struggle with long planning cycles, limited visibility and data integrity challenges. Interested in learning how to spend less time creating reports and more time analyzing data? Let OfficeConnect help you be faster and more efficient in your role. Our CFO Indicator Q4 2017 survey explores CFOs’ perspectives on the role of automation with respect to processes, hiring practices, and team skillsets. Results reveal that CFOs are moving full speed ahead with automation to become more strategic and agile. Being the beginning of the year, now is a great time for you to look around and assess what reporting processes are working and not working for your nonprofit organization. Applying these observations can help you alleviate pain points, negotiate pitfalls, and be better prepared for your next monthly reporting cycle. Read an overview of Adaptive Insights for Finance. Our business planning cloud enables power and scale without compromising ease of use. Learn how you can drive broad user engagement and active planning to create a more agile business. As modern CFOs move beyond accounting to become business performance leaders, the awareness of missed opportunities caused by static planning processes has escalated. CFOs who fail to guide their companies with active planning processes are seeing negative impacts on their organizations’ ability to capture profit and grow. 2018 is upon us, but are you ready for a change? Move beyond your day-to-day tasks of budgeting, forecasting, and reporting to more high impact activities and processes. Adaptive Insights recently crossed the $100 million threshold for both revenue and annual recurring revenue (ARR) under contract. Disruption is a popular buzzword, and it shows no signs of slowing down in 2018. No matter how long companies have been in business, many claim that their technology, platform, or business will completely disrupt whatever industry it’s in. Explore how Adaptive Insights helps associations to focus more resources, more time and more energy on their mission by automating their data, enabling them to evaluate projects quickly and accurately and decreasing the painstaking work that financial professionals must work through now inputting financial information into other solutions. Learn how Adaptive Insights helps education organizations adhere to strict fiscal guidelines, ensure they operate within their means and be transparent to demonstrate that they are good stewards of students’ tuition, and funds from public and private sources. Read about how Adaptive Insights enables foundations to adhere to their strict fiscal management, create accurate budgets that help ensure they operate within their means and be transparent to demonstrate that they are good stewards of the endowments and donors’ funds. As a finance leader in a non-profit organization, your job is to convey the financial state of the business. However, your Board of Directors is looking for more than just numbers; they want to understand the impact and implications of the data you present. Thomas Peff, Director of Finance at Adaptive Insights, shows how easy it is to create waterfall charts in Adaptive Insights for Finance. Non-financial information (like up-time, marketing lead volume, or customer satisfaction scores) can have a material impact to the accuracy of an organizations budget. But the art of translating non-financial information into budgets can be challenging if the right KPIs (and tools to track them) aren’t in place. Non-financial information (like up-time, marketing lead volume, or customer satisfaction scores) can have a material impact to the accuracy of an organizations budget. However, with traditional budgets, it can be difficult to adjust resources when operational performance swings out of line. How fast do we grow? How much should we burn? How do we scale? As a finance professional in a high-growth company, your job is to help the organization answer these questions. Join us as we share how top SaaS companies model growth and manage expense. With increasing competition and a changing economic environment, companies are moving away from static planning. Gone are the days of a single annual budget. Watch this webcast to learn how organizations are successfully using rolling forecasts to help better understand and predict business performance. Learn how Software companies can benchmark their performance vs their peers on over 400 SaaS metrics and KPIs through Adaptive Insights’ partnership with software benchmarking leader OPEXEngine. Adaptive Live is packed with 1,400 finance professionals representing 580 organizations in 35 industries on five continents. And each and every one of them recognizes that finance is changing, dramatically and forever: The errors and compromises of static planning are best left where they belong: in the past. To grow a SaaS business in a fast-moving market demands that sales finance become metrics-driven and use industry benchmarks to evaluate their own sales team performance. But gaining visibility into the performance of other SaaS companies is not easy. Watch this program to see how companies get the information they need to compete. Join this program as we discuss tips for developing forecast models, including; rolling forecast models built on key operational business drivers, questions to ask to help define the right forecasting model for your industry, and why it's important to separate forecasts from targets and rewards to deliver transparency across an organization. To plan for the future, organizations need to understand the present - both what is going on, and why. But gaining visibility into the information needed to accurately forecast can be a difficult task. Watch this webcast to learn how organizations are overcoming these challenges. Getting to a budget that is “just right” for your organization can prove a painstaking and daunting task. But by following a proven approach developed by Jeff Epstein and Byron Deeter, you can establish a transformative budgeting practice that enhances communication and collaboration, better informs planning, and can even help drive growth. Learn about the power of cloud dashboard software and visual analytics designed for use by executives, line-of-business managers, data analysts, finance, and operations. Adaptive Insights makes it simple to create and deliver dashboards, drill down into data, and even perform what-if analyses on the fly. Learn about the robust consolidation capabilities of Adaptive Insights for Finance. Dramatically reduce manual processes, accelerate accurate financial results, streamline allocations, and more—all in real time. Since Adaptive Insights is part of the Business Planning Cloud, take your close the extra mile with powerful reporting and analytics. See how Business Planning Cloud accelerates your business performance on all fronts. Established on a cloud-based platform, the Business Planning Cloud puts planning, forecasting, analytics, financial consolidation, and reporting at your fingertips. The intuitive interface enables anyone, anywhere, at any time to set goals and achieve results. Learn how to make a case for revamping FP&A processes to transform the finance team into a value-add strategic partner. These three steps from Nucleus Research and reported results from top companies like DocuSign offer a solid rationale to cut ties with spreadsheets so that finance can provide valuable insights to the business.